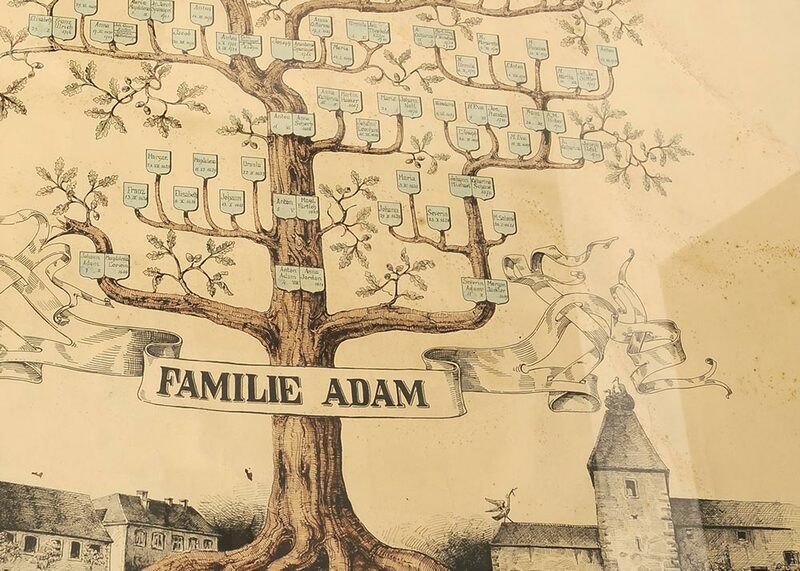 The Jean-Baptiste Adam family has been working relentlessly in the vineyards and in the cellar since 1614, which makes us one of the rare family estates who can claim 400 years of history in wine making. 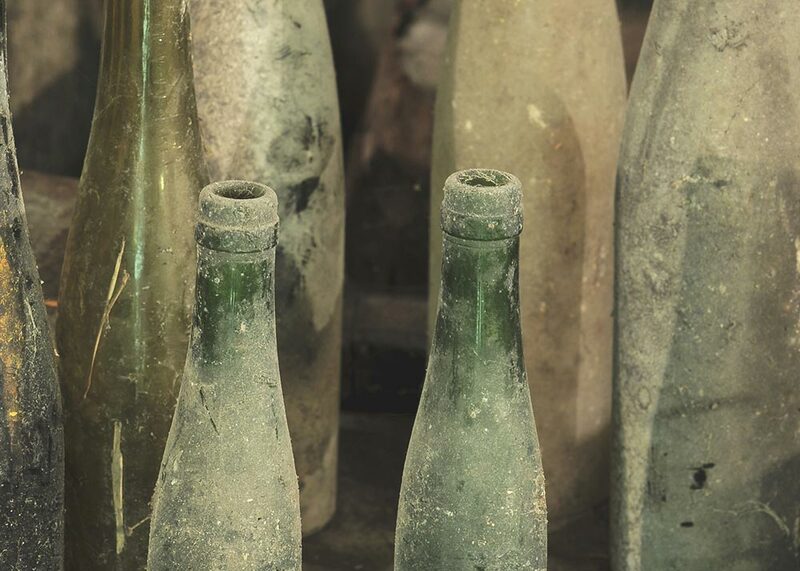 Numerous wineries find their identity in the deepest roots of history, but few can claim four centuries of passion and tradition in wine making. 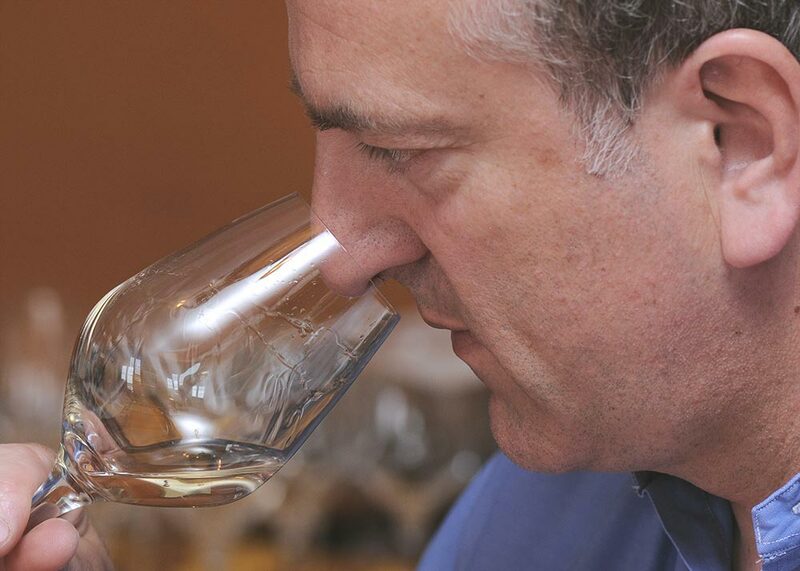 This passion, dedication, and love for wine, has sent us on a continuous quest for self improvement. Our techniques, methods, and strategies have improved year after year to produce wines that are one step closer to perfection with each successive vintage. 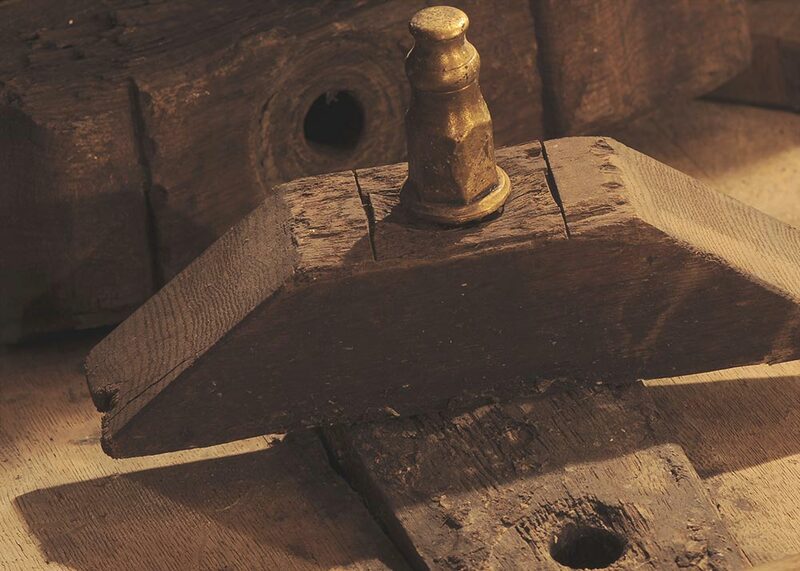 Through this site, you will discover our cellar, and the passion we have for Alsace and its wines, which drives our quest for perfection on a daily basis. 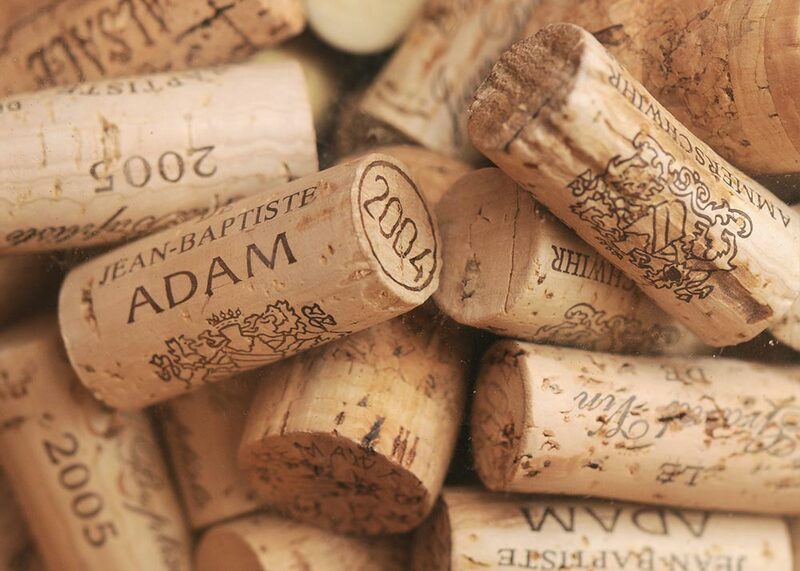 The conversion of our own vines in organic and biodynamic farming marks a new start in 2004. The "Book of Gourmet" stands as a precious testimony to the pursuit of winemaking, one that Jean Adam, the patriarch, still enjoys consulting. Laure is the 15th generation to perpetuate the spirit and know-how of the house. After studies in viticulture and oenology, a Master MBA in Wine, Commerce and Management in hand, she takes the time to perfect her knowledge through various professional experiences in Italy or in London. Back in 2012, she joined the family field where she naturally turned to export and marketing bringing her dynamism and new ideas. 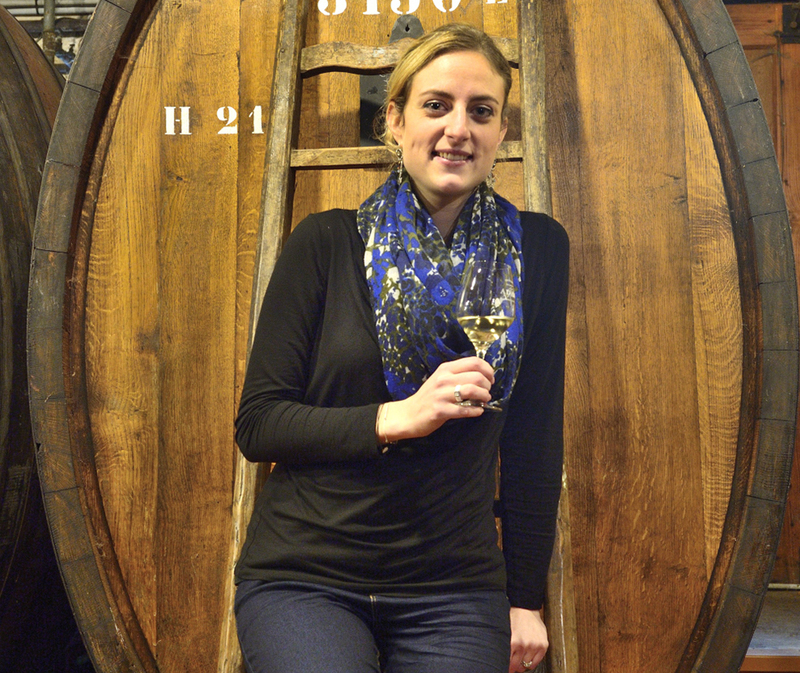 On the technical side, she brought with finesse and elegance, its feminine touch in the vinification of wines. 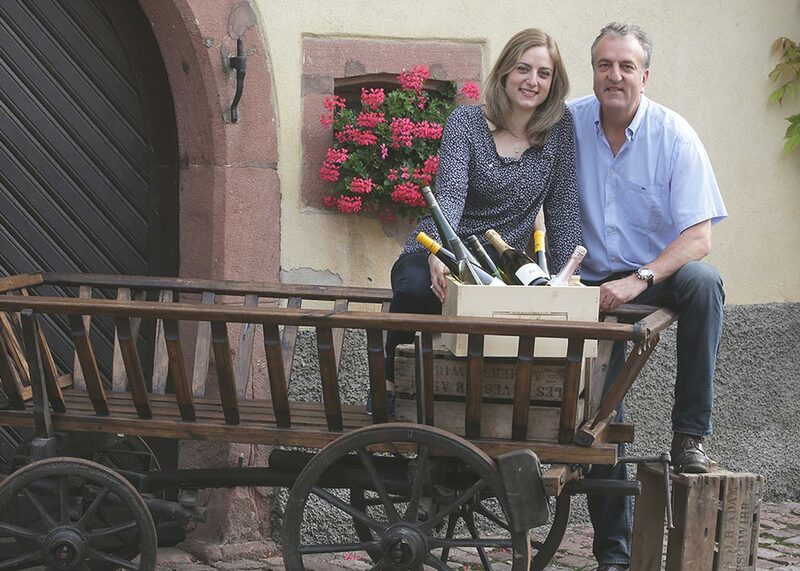 Engaged in viticulture and ecology, passionate about gastronomy, member of the Divines d'Alsace, she is now the ambassador for Jean-Baptiste ADAM wines in France and abroad. 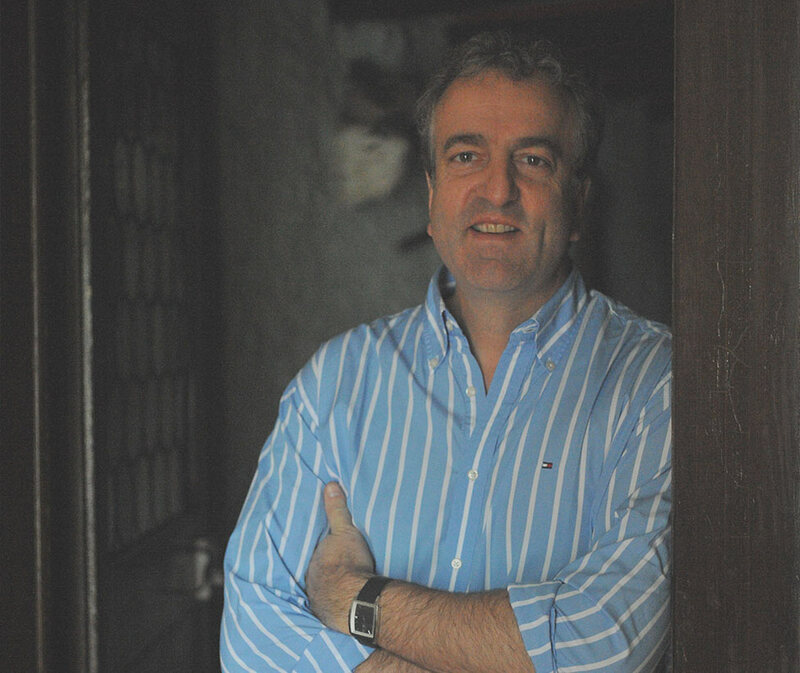 At the head of the estate since 1990, he started in 2004 the management of vineyards in organic farming, and more particularly in biodynamics. An important and essential step, which promotes the expression of the terroir and brings to the wines an incomparable complexity. Fervent defender of the great terroirs and their authenticity, he likes to recharge his batteries in the heart of the vineyards, especially the Kaefferkopf, his Grand Cru of predilection. 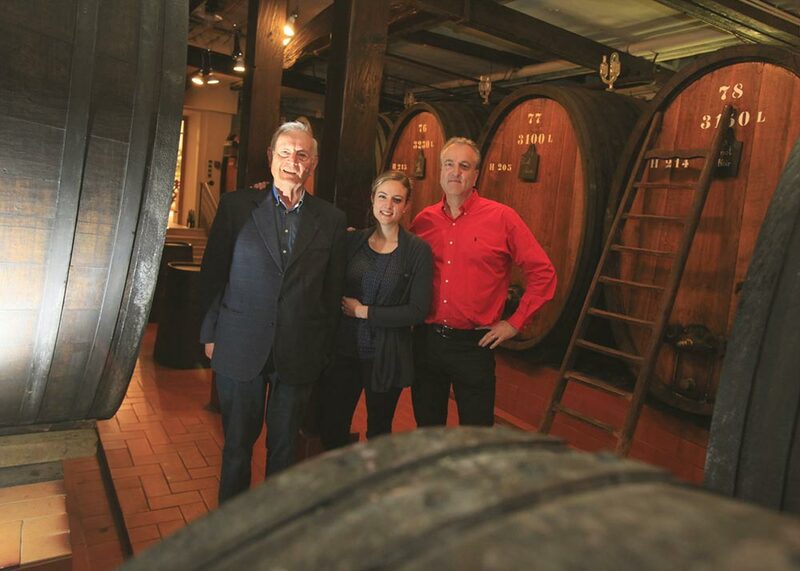 Requirement and excellence are the key words of this winemaker engaged for many years. It is the memory and the historical wealth of the family. Grand Chamberlain of the Brotherhood Saint Etienne, Jean is a passionate. He is a figure and an essential reference of the Alsatian viticulture. He is inexhaustible on historical events, he is easily immersed in the secrets of genealogy and remains very active in the community. 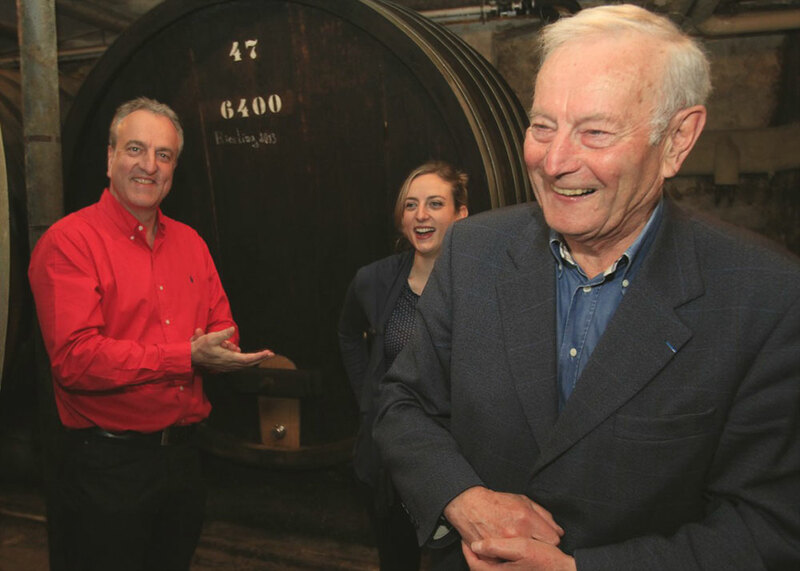 He is the keystone of Domaine Jean-Baptiste ADAM and is proud to see today the evolution of the field and the work done by his son and granddaughter in recent years. Foundation of the estate by Jean Baptiste ADAM, "gourmet-winemaker". 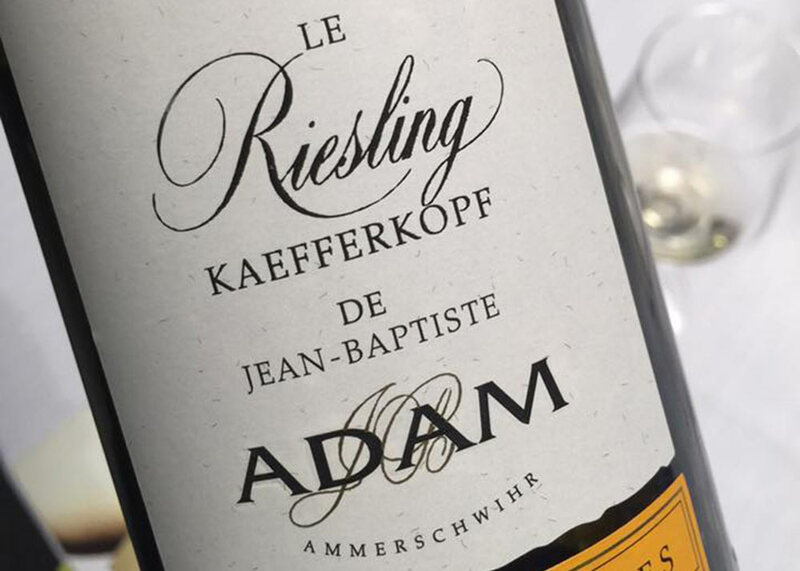 At the time, restaurants came to Ammerschwihr to taste the wines of Jean-Baptiste Adam in order to find the perfect match for their meals. 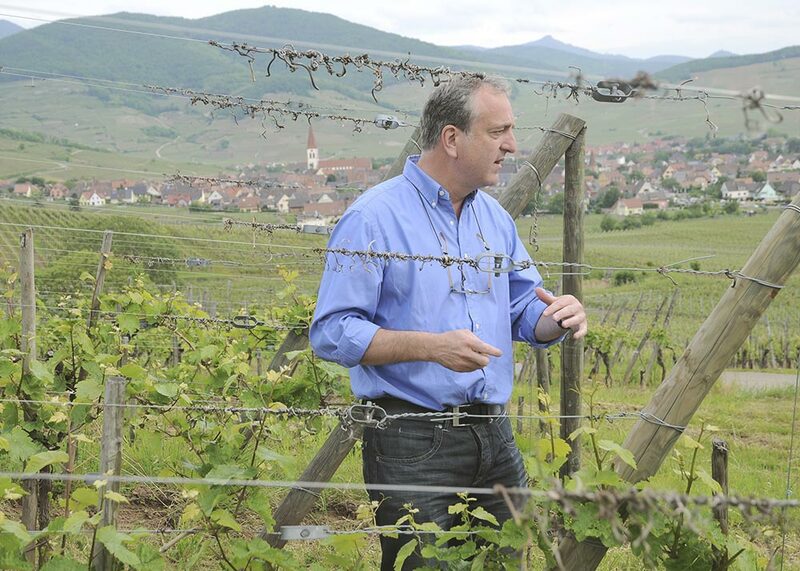 The “gourmet-winemaker”, expert and trustworthy, would serve as consultant, and broker, to guide them through the vineyards of Alsace. This official occupation, introduced during the Middle-Ages, only existed in the region of Alsace. 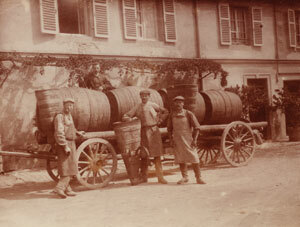 Today, the occupation has disappeared, but the winemaking philosophy remains focused on gastronomic excellence. Under the Second Empire, the entire production of the village of Ammerschwihr was sold through four gourmets, acting as brokers. Adam was in charge of the restaurant “Aux Trois Rois” (The Three Kings). 14,000 to 18,000 hectoliters were sold annually during the last years of the second empire. 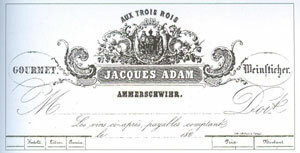 The Jean Baptiste Adam estate would sell between 6000 and 8000 hectoliters. Registration of the family coats of arms. The “Book of Gourmet” contains early writings that tell the story of past marketing efforts, and are a favorite of the patriarch, Jean Adam. The “Book of Gourmet” retraces the evolution of wine sales from 1786 until today. In the early years of the Jean Baptiste Adam estate, restaurants represented the great majority of the customer base, but the book also shows evidence of transactions in Yokohama, Japan and in New York, NY. 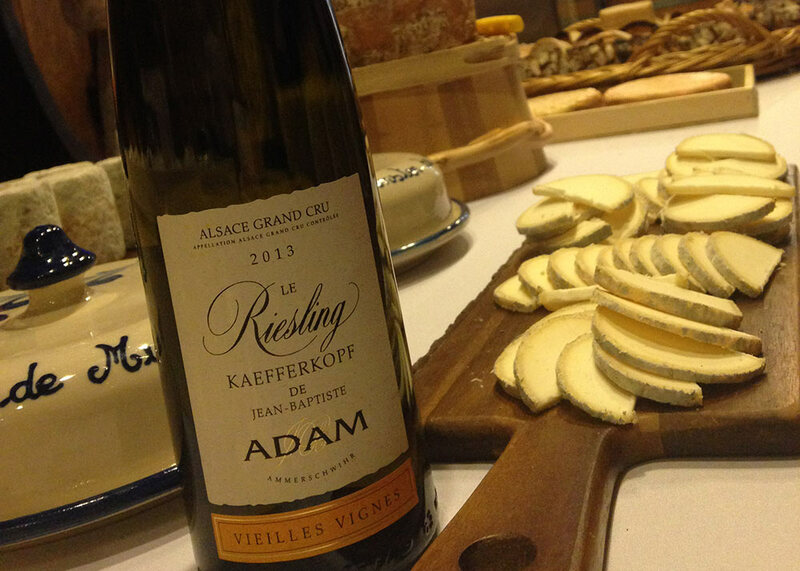 Our estate produced the oldest Alsace wine label, the Kaefferkopf. 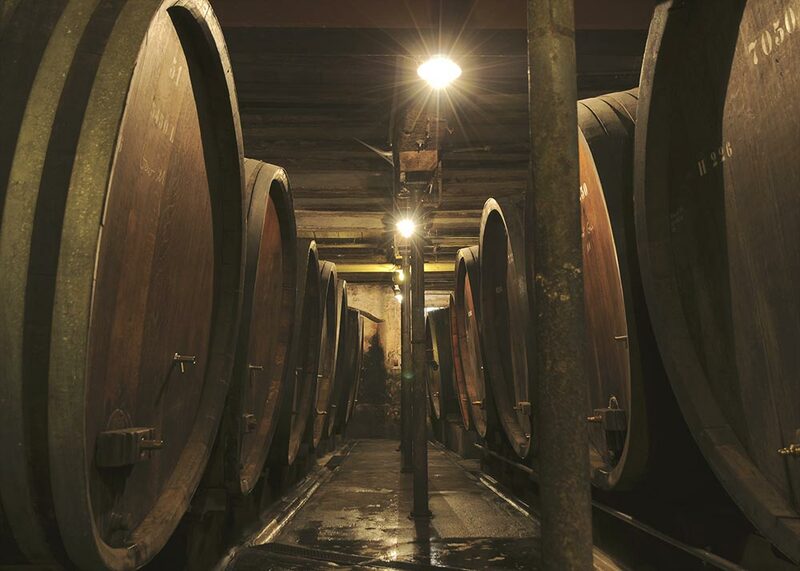 Dating back to 1834, it already mentions the Kaefferkopf terroir. First expansion of the cellar. First shipping to the USA. First shipping to Tokyo and Yokohama. In memory of Amélie Adam, born Amélie Schindenhammer. After the loss of her husband at the age of 41, this ambitious mother of four took on the great challenge of becoming a business owner to manage the estate. 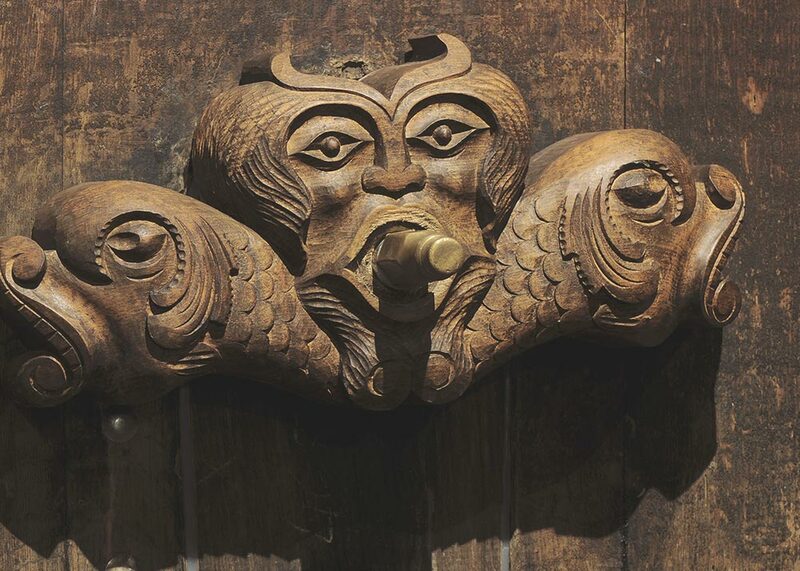 In addition, she acquired for her second son Paul, a wine distributorship in Lauw (Valley of Masevaux). World War II. During the Second World War, our estate was considered "deutschfeindlich", hostile to the Germans. As a result, the estate was prevented from conducting sales during the war. 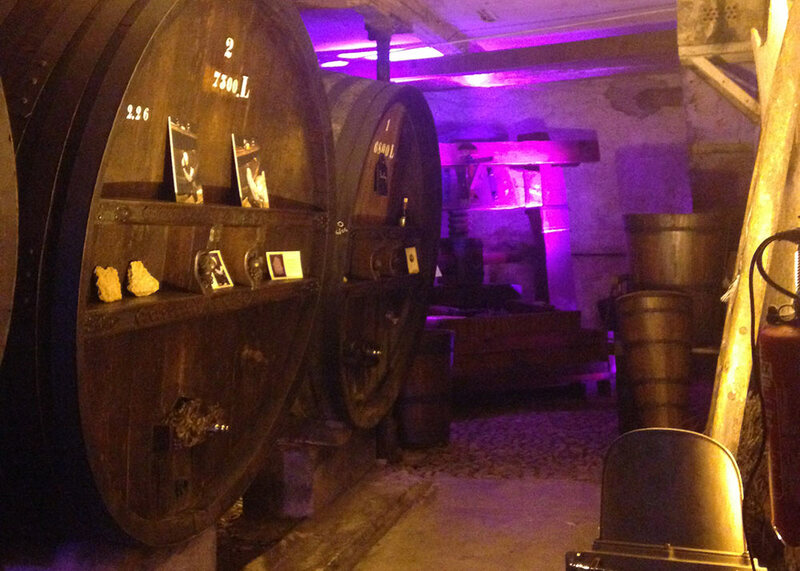 Our cellar also became a hiding place for many inhabitants of Ammerschwihr during the US bombing. 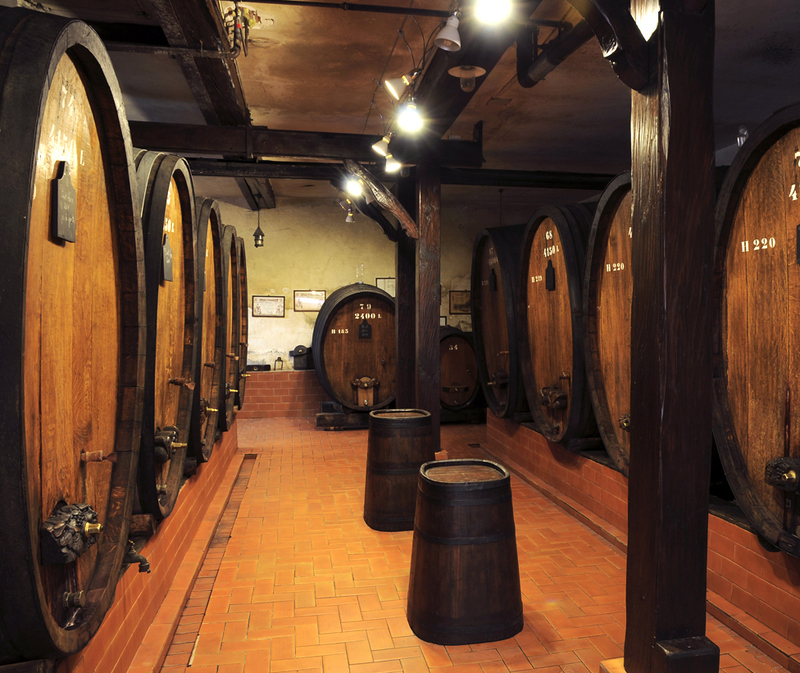 As a result, the cellar was spared during the war, and our wooden casks were preserved from being burnt. Jean Adam, assisted by his wife Paulette, brought a much needed second breath to the area, still economically fragile after the war. 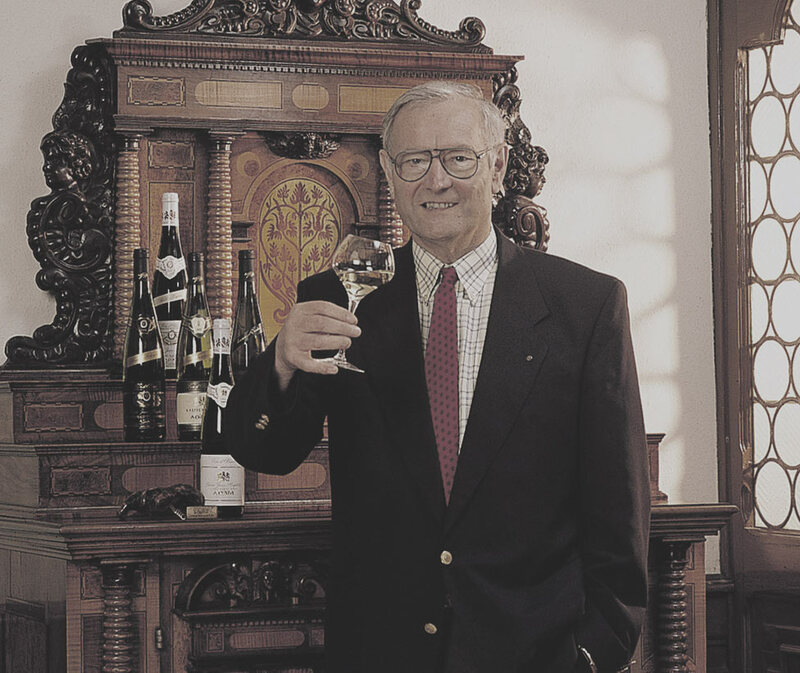 He initiated the bottling and selling of Alsace wines in France and abroad. Construction of a new wine cellar and a bottling line. Jean-Baptiste ADAM, current president, joins the family estate and conducts his first vinification after finishing his winemaking degree in the prestigious university of Beaune. Establishment of strict internal guidelines to develop viticulture more respectful of the ecosystem. 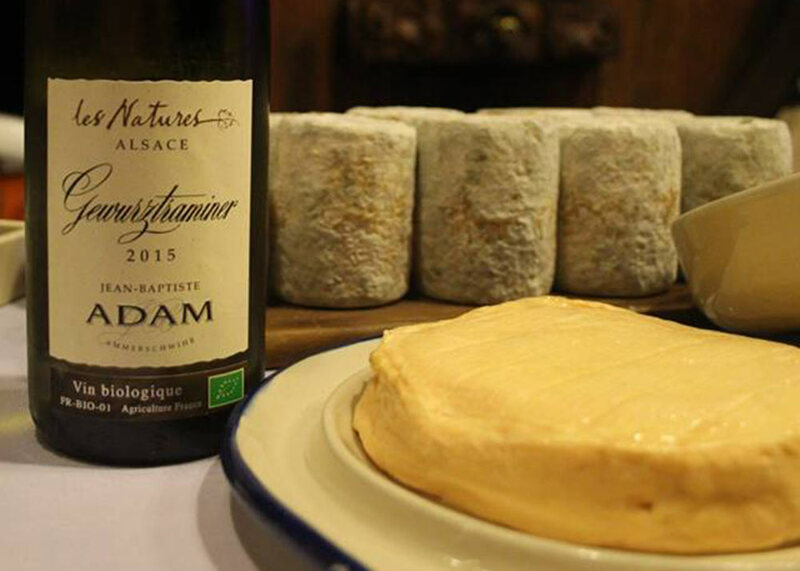 The Jean Baptiste Adam estate makes a commitment to work in biodynamics on all its vineyards. A brand new tasting room gives access to our cellars and to our "oenotheque", real family museum where mature patiently wines surrounded with the care of a passionate and experienced team. The Kaefferkopf, Grand Cru of Alsace. 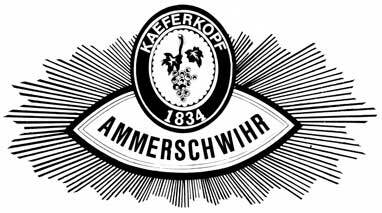 The « Kaefferkopf » of Ammerschwihr, considered since the Middle Ages, is finally promoted 51th Grand Cru of Alsace. He represents for our family the jewel of Ammerschwihr. This consecration is lived by our family as the outcome of a very long battle. Laure, Jean-Baptiste ADAM's daughter, joined the company of her father. Celebration of the 400th anniversary.